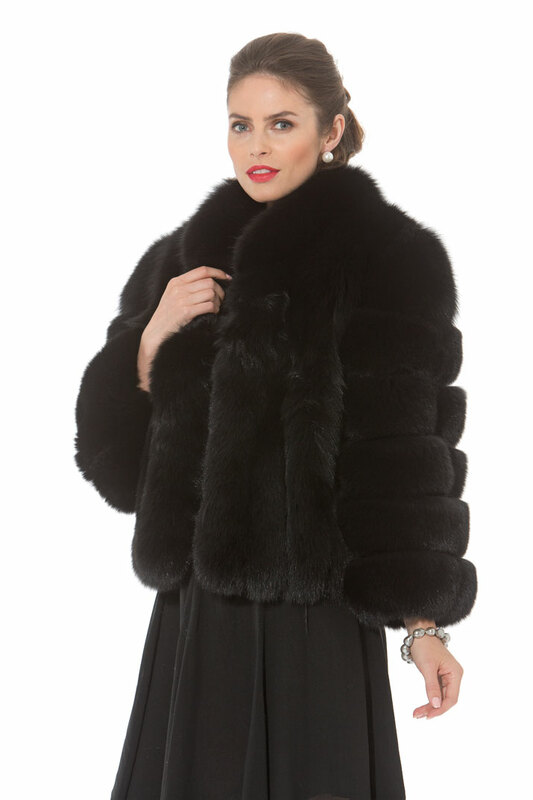 A charming black fox jacket! Reminiscent of bolero styling but we’ve added a bit of extra length to make this more wearable. This lovely black fox jacket can be worn to the most elegant events but just add a pair of jeans and this jacket can take you anywhere! The tiered sleeves add style and flair while the fox tuxedo frames your face to perfection. Also available in all white fox. Fur Content: Black Dyed Full Pelted Fox. Fur Origin: Finland. Length: 22". Hook and Eye Fur Closures. Call if you dont see your size.